First, you must register on cryptocurrency exchange. Then you many purchase cryptocurrency with cash. You may check “How to purchase Ethereum.” On the manual in cryptocurrecy exchange. PlayCoin does not receive Ethereum from cryptocurrency directly; because there would be possibility of Ethereum disappearance. Only Ethereum from My-Ethereum wallet is acceptable in PlayCoin Token Sale. How to create wallet on My-Ethereum. •Go to “Send Ether & Tokens; and click “Keystore/JSON file” on the left. •Enter your password to enable your wallet. 7. After enabling your wallet, request Token Sale participation on “playcoin.com”. Paste your Ethereum address(wallet address); and enter donation amount on “Amount to Send”. •Notice: If you enter 350,000 as Gas limit, there will be 0.01 commission for General transaction. 8. You may check your Ethereum transaction on https://etherscan.io/. Enter your Ethereum address on right-hand corner next to LOGIN button. Your transaction is also available on PlayCoin homepage. (Log in required). 플레이코인 Token Sale 에 참여하기 위하여는 이더리움으로 청약(donation)이 가능하기에 이더리움 전용 전자지갑이 필요합니다. 아직까지 가상화폐 거래를 안해보신들을 위해서 플레이코인(PlayCoin) Token Sale 에 청약하는 방법을 설명드립니다. 먼저, 각국의 가상화폐거래소 회원가입후 현금으로 각종 가상화폐를 구입이 가능합니다. 가상화폐거래소에서 이더리움을 구매하는 방법은 거래소에서 매뉴얼을 통해서 확인하시면 됩니다. PlayCoin 에서는 가상화폐거래소에서 직접 이더리움을 전송받지 않습니다. 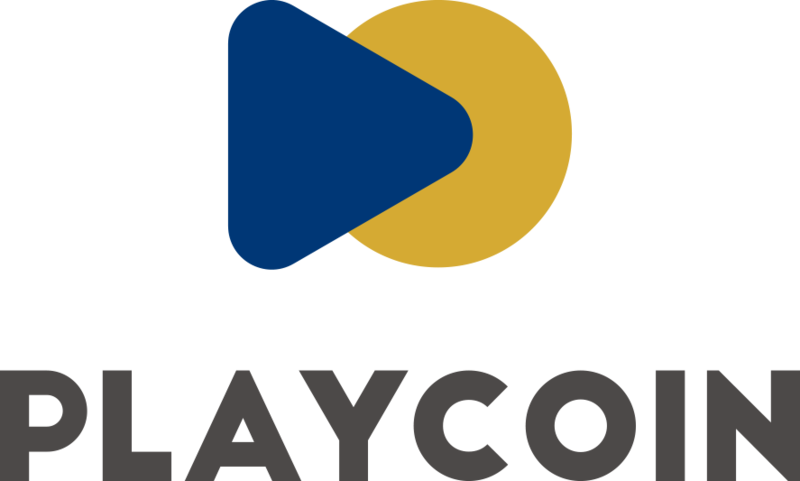 가상화폐거래소에서 직접 PlayCoin Token Sale 계좌로 전송시 중간에 이더리움이 사라질수 있는 우려가 있어서, Token Sale 청약시에는 이더리움 표준전자지갑인 마이이더월렛 에서 전송하는 이더리움만 청약이 가능합니다. 플레이코인 (PlayCoin) 의 Token Sale 참여는 https://playcoin.game 에서 참여하시면 됩니다. 이제부터 마이이더월렛에서 전자지갑 만드는 방법을 알려드립니다. https://www.myetherwallet.com/ 에 접속후 전자지갑에 사용할 패스워드를 입력하고 지갑생성을 클릭합니다..
2. 다시 “ Download Keystore File (UTC/JSON) “을 클릭하여 본인의 컴퓨터에 저장합니다. Keystore File 이 컴퓨터에 다운되면 중요한 파일이니 잘 보관하세요. 3. Private Key 는 메모해 두시거나 “print Paer Wallet” 을 클릭하여 프린트 할 수도 있습니다. 4. Keystore File 클릭후 지갑 파일 선택하기를 클릭하여 저장한 개인키를 선택하고 비밀번호 입력후 Unlock 클릭 합니다. 5. 스크롤을 아래로 내리면 아래와 같이 지갑이 나타납니다. 상단에 Your Address 부분에 본인 지갑의 주소가 표시됩니다. 아래 QR코드로도 전자지갑 주소 보기가 가능합니다. 참고하시길 바랍니다. 6. 이제 마이이더월렛에서 만들어진 본인 전자지갑으로 가상화폐거래소에서 이더리움을 전송하여 전자지갑으로 전송된 이더리움으로 Token Sale 청약 전자지갑으로 보내는 방법을 설명드리겠습니다. 우선 , 마이더리월렛에 접속하여 상단에 있는 “ Send Ether & Tokens “ 을 클릭하여 “Keystore / JSON file” 클릭하여 “SELECT WALLET FILE” 클릭후 password 를 입력후 Unlock 을 클릭하여 전자지갑을 활성화 시킵니다. 7. 잠금해제를 한 후 Playcoin.game 에서 Token Sale 참여신청 후 청약을 위한 받은 이더리움 주소(전자지갑 주소)를 붙여 넣기하고 “Amount to Send” 에 청약할 이더리움 수량을 지정한 후 “Generate Transaction”을 눌러 Token Sale참여를 완료합니다. 그럼 해당 주소에서 전송된 이더리움의 내용이 표시됩니다. 또한, playCoin.game 홈페이지에서 로그인하면 확인이 가능합니다. Previous Post GameHub has launched its Token Sale webpage: ICOwithUs.